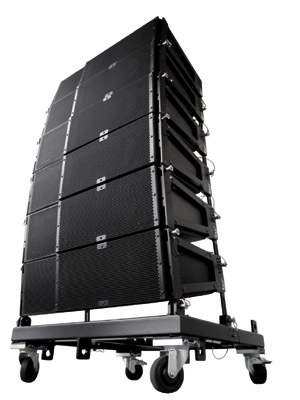 The GRD16 enables the LR16 line-array modules and the LR16B line-array bass modules to be flown and ground stacked. The grid can be suspended from the central “single pick-point” bar (ø 26mm / 1-in. (6,5T)), as well as multiple mounting points (4) on the top of the grid (ø 26mm / 1-in. (6,5T)). 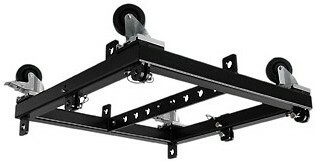 Comes with four detachable castor wheels and all quick release pins required (attached to the frame). 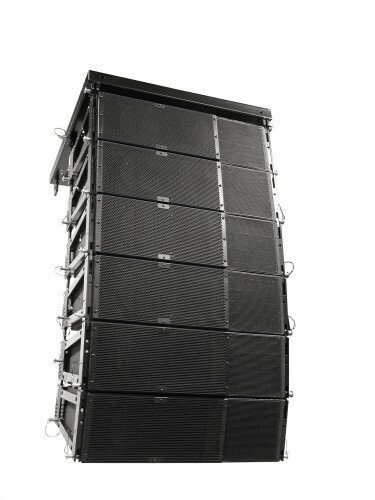 The GRD16 has a weight of 28 kg / 61.7 lb and is certified for a safety-rating of 10:1, for fifteen (15) cabinets LR16, or eight (8) cabinets LR16B on the central bar; And for eighteen (18) cabinets LR16, or ten (10) cabinets LR16B on the flying-eyes on top of the grid.